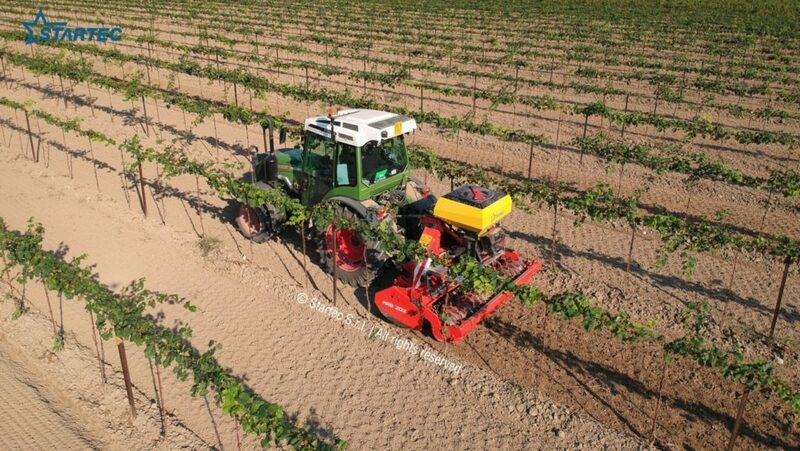 The sowing of certain varieties in the inter-row of tree crops (vineyards, orchards, olive groves, pits, etc.) 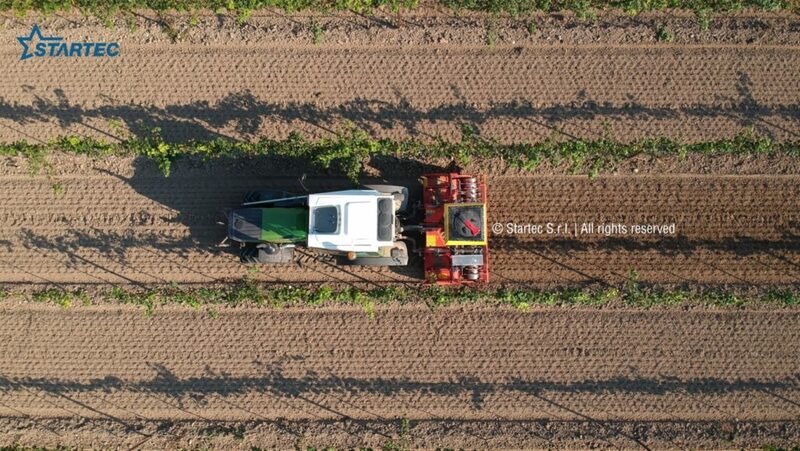 is becoming an increasingly widespread choice with widely proven agronomic and environmental advantages. 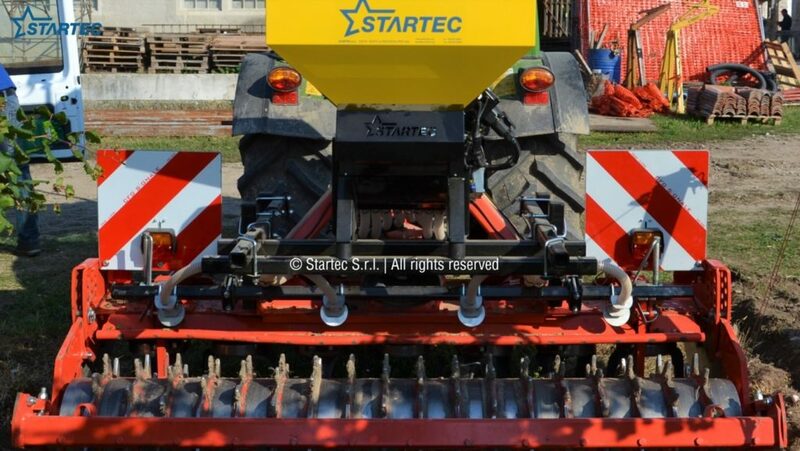 Startec presents the new MIKRO GAMMA Kit designed to meet even the needs of sowing, mainly “cover crops” and green manure covers. 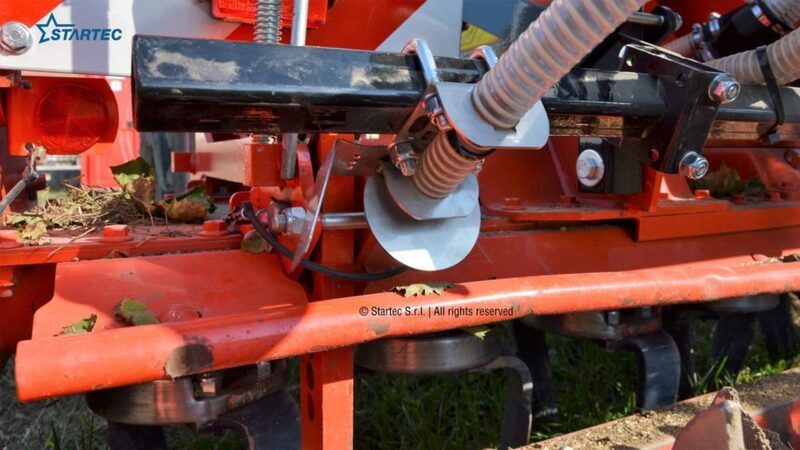 The applications of the Mikro GAMMA Kit on a power harrow or on an inter-row cultivator allow to work the soil quickly and efficiently while sowing at the same time. 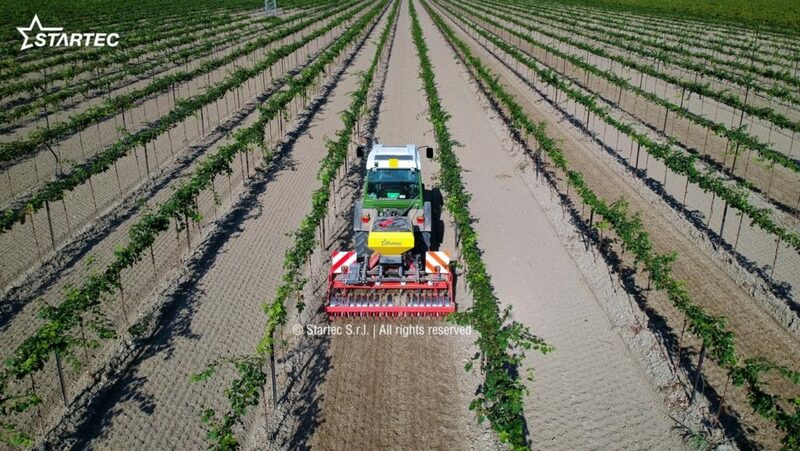 The special shaping of the hopper easies the installation and the 200l capacity (100l and 200l also available) meets the different needs of working autonomy. The dosage is regulated automatically and proportional to the advancement speed in the field by the Performer 530 control unit, fully respecting the programmed investment. 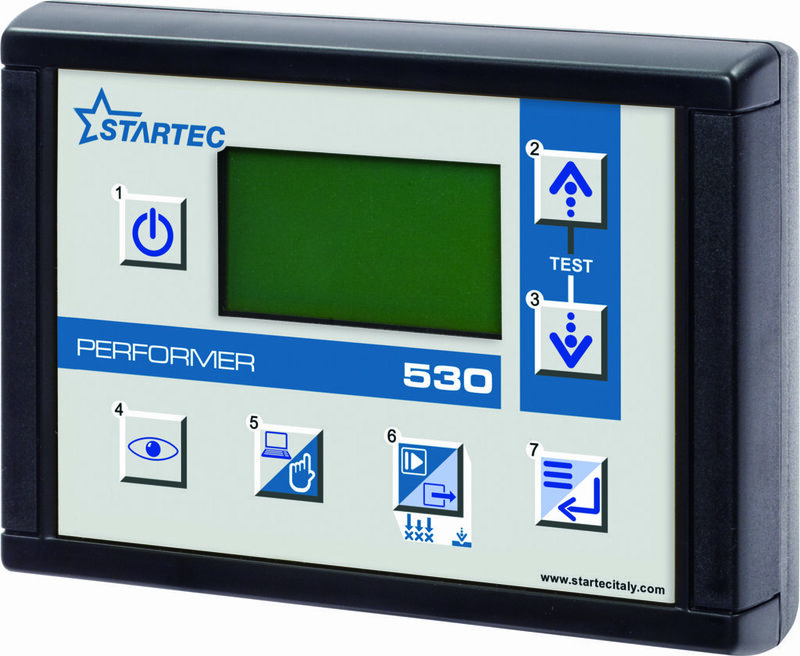 The Performer 530 is also available with variable rate distribution (VRA). 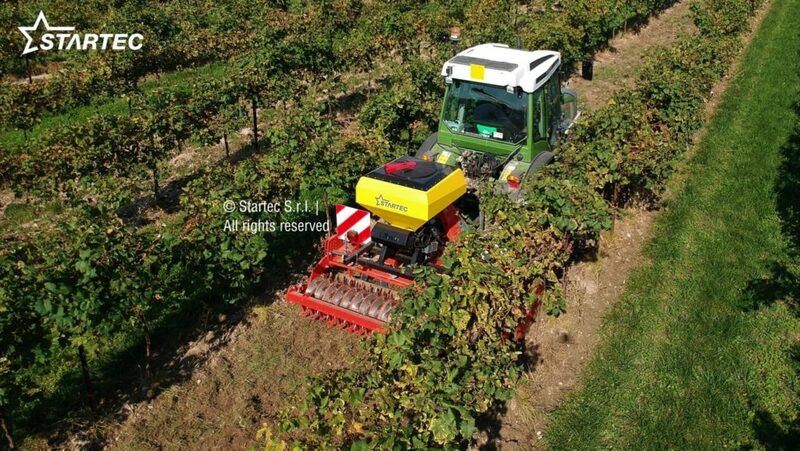 The dosing roller, being interchangeable according to the product distributed, is designed for the dosing of cover crops and to distribute the product on 8 outputs evenly. The 8 outputs of the doser (covering up to 6m of working width), can be configured according to different combinations. 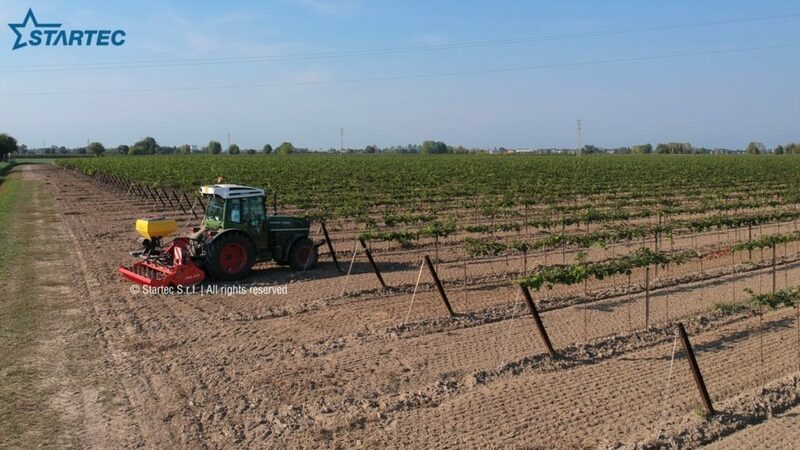 In this application they were unified, two by two, obtaining the 4 sowing rows desired. 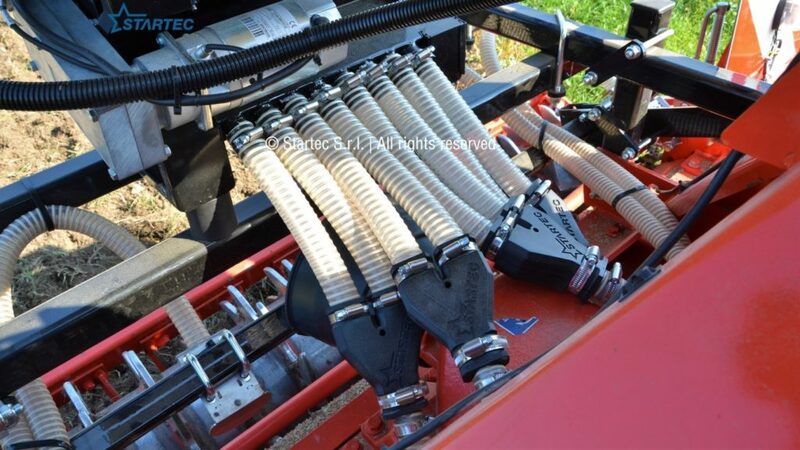 The seed distribution on the ground takes place throughout 4 outlets with flexible pipes equipped with special wide-angle diffusers and with adjustable lateral bulkheads to keep the seeds between the rows, avoiding reaching the plants. 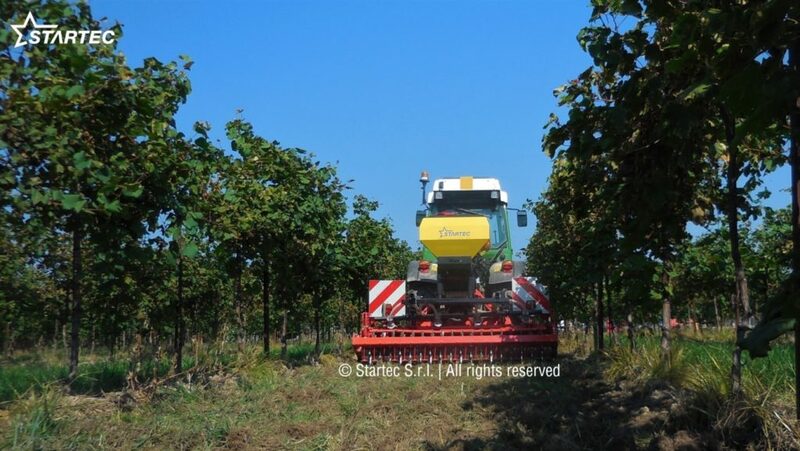 The diffusers allow an optimal and regular coverage over the entire working width of the machine. 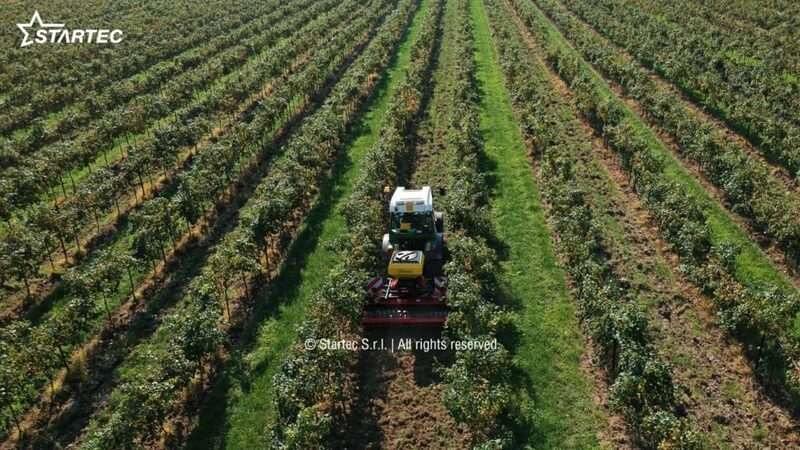 The Mikro Gamma Startec kit is available in different configurations. 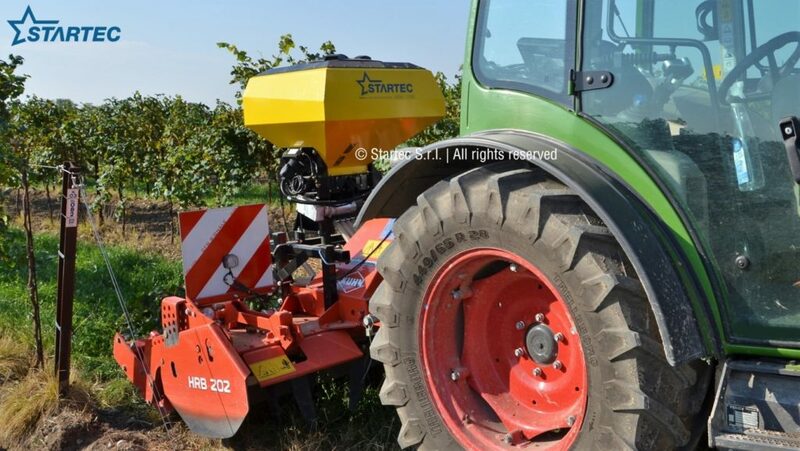 In addition to the capacities from 100 to 300 liters, the GAMMA DUO version is also available with a 400-liter hopper which can be used for the distribution of one or two products at the same time. The two distributions, always automatic and proportional, can be independent of one another or unified for the distribution of a single product with greater autonomy of work. Depending on the distribution needs, the division of the total capacity into two rooms can be equal (200l + 200l) or two thirds / one third (240l / 160l). Come and discover it at EIMA 2018 | Hall 22 Stand B22 ! !